Could the end be nigh for the Galaxy range? Apple's yet-to-be-heard case against Samsung in the Netherlands could see a stranglehold placed over all Galaxy-branded tablet and smartphone sales in Europe if successful. It's a stealth attack, with the Californian company hoping to cut off European supply of the devices by going after Samsung and its partners in the Netherlands, Europe's supply entry point for Samsung's hardware. And it's not just the Samsung Galaxy Tab 10.1 this time; Apple's complaint lists every Galaxy device – from smartphones like the Samsung Galaxy SII to the tablet line up. Dutch website Webwereld has extracted this information from Apple's subpoena, saying that the complaint filed extends over all Samsung's logistical affiliates responsible for distributing Samsung's products in 28 markets across Europe. The file also includes a letter that Apple has helpfully drafted for Samsung, which demands a complete recall of stock from all European distributors and resellers. As well as saying that Samsung will shoulder all costs, the letter drafted by Apple warns, "For the record we would like to mention the fact that by storing, offering and/or selling of the above mentioned Galaxy smartphones [and tablets], you commit infringement of the intellectual property rights of Apple Inc."
Jobs and co are not messing around here. If the courts rule in Apple's favour, the ruling could be the end of the Samsung Galaxy range in Europe and a severe blow to Android - and all because Samsung's products look a bit like Apple's. 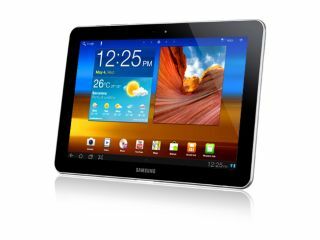 Last week a German court granted Apple a temporary injunction banning the sale of all Samsung Galaxy Tab 10.1 slates across Europe, although this was later ruled to apply only to Germany. The Netherlands court will rule on 15 September.